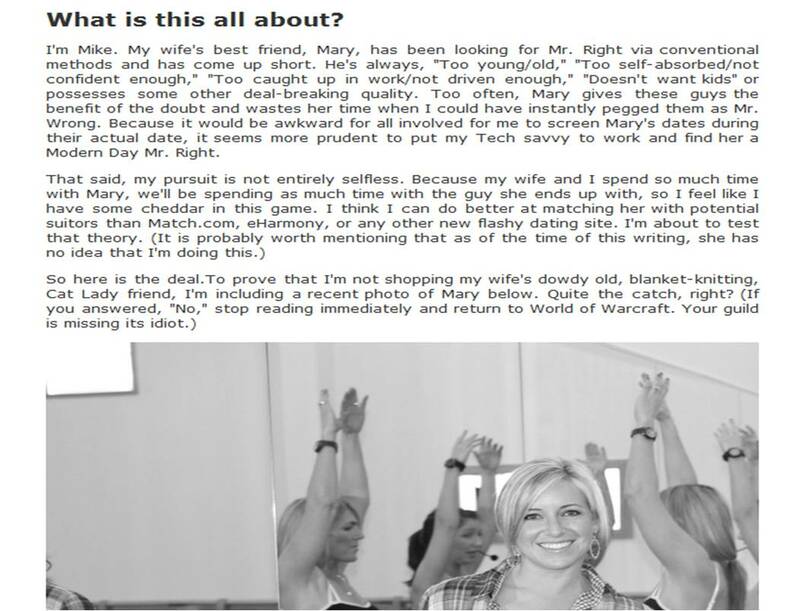 This guy wanted to find a husband for his wife's best friend named Mary. 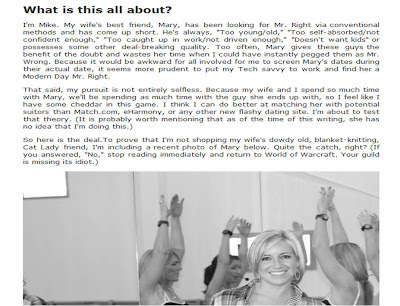 So he started a site called Marry Mary. It's absolute genius. Thanks Bain for the forward.